The overlooked Bennet middle sister gets her moment in Pride and Prejudice sequel. Read my review in the Marin Independent Journal. 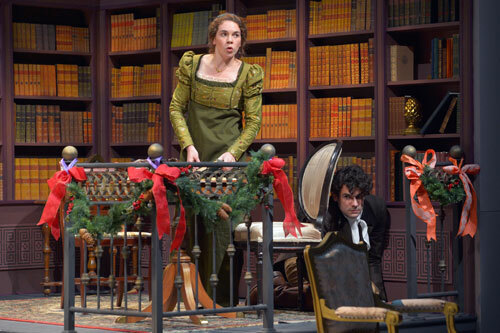 Martha Brigham and Adam Magill in Miss Bennet: Christmas at Pemberley. Photo by Kevin Berne. Show #140 of 2016, attended November 29.